To be honest, doing this podcast is the treat of all treats I am giving away to myself. Already in the small, tiny history of this podcast – this has been an opportunity for me to connect and re-connect to all these people who’s ideas and work are so important to me, mean a lot to me and really changed the way I think and work. 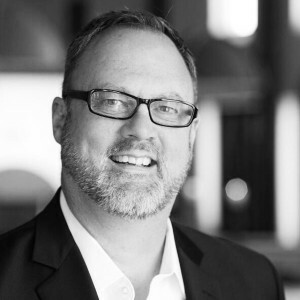 And now, for this episode, I’ll talk to Dave, Dave Gray. And there’s a funny story that connects me with Dave and I mean that literally. Years ago, I already read – and applied – Dave’s earliest book Gamestorming. And to an even wider degree I sucked in his book „The Connected Company“ – which I think is one of the most brilliant descriptions of the change that companies will have to face when they want to keep up in the … I don’t know how to call it … maybe, digital era. But really, while I loved these books, I did not know at all who Dave is. One day, though, Jabe Bloom, now working with Praxis Flow, introduced me to Dave and suggested we’d have to talk. At the time, Dave was interviewing people for his new book. And so we met on Skype and talked. At the end, I asked Dave what the book will be all about and Dave said, he wouldn’t yet know. 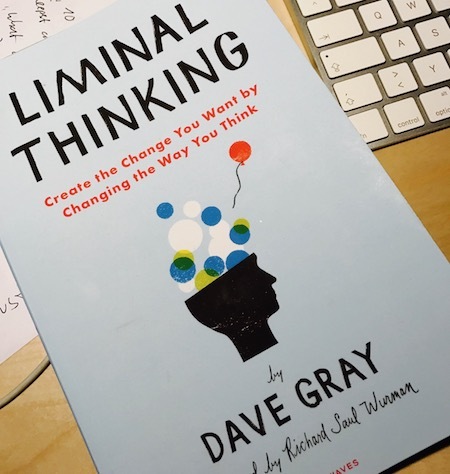 And then, roughly mid last year, his new book came out and it stunned me: The book is called “Liminal Thinking”. And from my perspective it is the distilled and abstracted learning of all these interviews that Dave took. Rather than explaining how people and companies have to change, what this book explains is how each one of us has to change and work on himself to have an impact on our environments. At least if we want to be happy at work, keep people happy at work, want to have the right direction of impact or … just want to be happy. While being not the thickest of books, it is a read that I would recommend to take in small steps and really enjoy – and also take all the challenging exercises. Dave is a guy of many facets. At the core, it seems to me, he is driven by finding ways to influence the world of work to be a better place. Since early on he was driven by looking for tools that help people to get a better understanding of what is going o around him. Since being a kid he is working on visualization of context and he treated this as an art form. Along the way, he discovered games as a meaningful form of understanding. In 1993, he founded XPlane, a company that helps companies to understand and, well explane, you guess it, mainly by ways of visualizing. It started as a missing book on Agile and become something different. on the example of „Liminal Thinking“ being on the brink of nearly not being written at one time and the catharsis of re-re-revising the book again and again. and thus align companies over strategy and other concepts. The journey to visualize is even more important than the effect of having the visualization. Visualization helps communicate and come up with the right questions. If you liked this issue, please make sure you give this podcast a five star rating or any other form of appreciation. Also, I am always happy for any comments sent to me on any of the available channels. Thanks for listening in and I hope to have you as my guest again for my next show.